Poor Old Things! Strange That His Case Has Never Been Correctly Diagnosed. Illustration by Orson B. Lowell for the LIFE magazine in 1907, Lowell depicts the changes of society, that slowly but surely progress to be more including and progressive for woman. 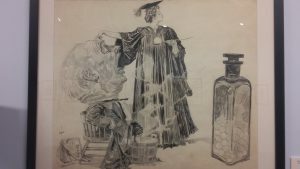 it depicts the more openly higher education for woman and how society may have still force the role’s of traditional society, the change was to be imminent. The way that Lowell lines and the variations of closeness to each for variation of shades and the smoke presented in contrast of the graduation cape will make it hard for most to find a solution to this problem but Lowell finds a way to solve this and more. 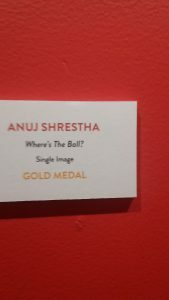 Where is The Ball by the illustrator and cartoonist Anuj Shrestha. 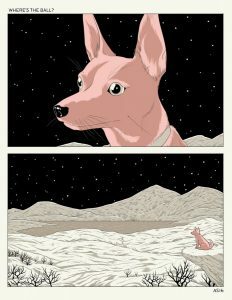 the illustration depicts a puppy dog looking into the abyss under a night full of stars, in what seems to be a desolated dessert valley with no trace of civilization and with one only question “where is the ball”. 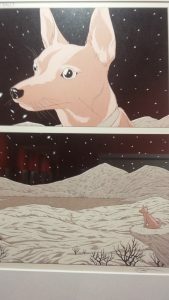 while not depicting a literally post apocalyptic dystopian future, the scenario that Shrestha depicts is of the one dog that seems to be the only soul over the face of the earth, with no trace of any other human to play catch, wondering the one only question where the ball could be? where humanity was left or got lost? While taking symbolism to its maximum core, I see the meaning of this illustration under the lenses of nihilism vs existentialism. we can view the star-full night as metaphor for space and its infinity, the lack of any trace of civilization can be view as the position of humanity in thin infinite space, and how insignificant can it be, and over all we can take the question asked of Where is The Ball as where is the purpose or meaning to existence. in the long run we can see this illustration as the battle of giving purpose or meaning to our lives and actions, and how soul crushing and lonely it can be when we don’t find that purpose that motivated us to keep forward. This entry was posted in Discussion by Luis Murillo. Bookmark the permalink.